New for the 2017 season - the Honda HRG466SKEP - or better known as their 18", self propelled IZY with built in mulch function. 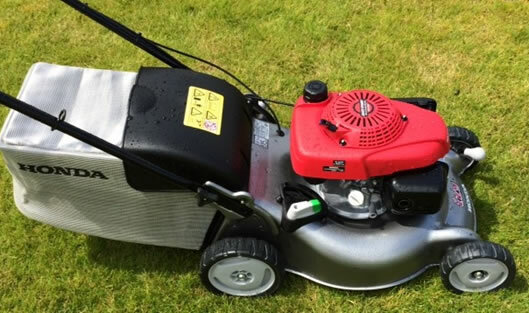 A lightweight, single speed drive, 18" / 46cm petrol lawnmower with Versamow (selective mulching). Self propelled - single speed drive system. 55 lite grass bag. Max 0.89 meters per second. 6 stage height adjustment - independent front & rear. Cutting height staged from 20mm to 74mm. Up to 5 years manufacturers warranty - subject to servicing etc. RRP - £599.00 including VAT and pre delivery inspection.